Create a perfect Arabic invoice with our unique software available in the market for real Arab billing. Awesome, free features ! Sign Up Now, it only takes 30 seconds - No Credit Card Required. 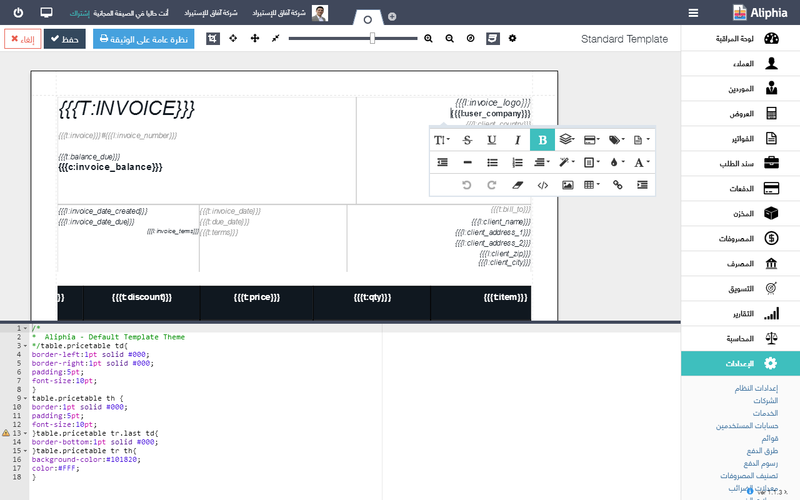 Forget about wrong formatting, floating text and bad characters displaying in your documents, now this is solved, you can create and send beautiful arabic invoices! Create invoices in arabic language, and print them in any other language you need without breaking the document format or having to rewrite it. By just changing one option you will be able to switch from: West Arabic (0123456789),East Arabic (٠١٢٣٤٥٦٧٨٩) & Perso Arabic (۰۱۲۳۴۵۶۷۸۹) when you want. Generate beautifully designed invoices and make your business stand out from the competition. Customize your templates using HTML and CSS. 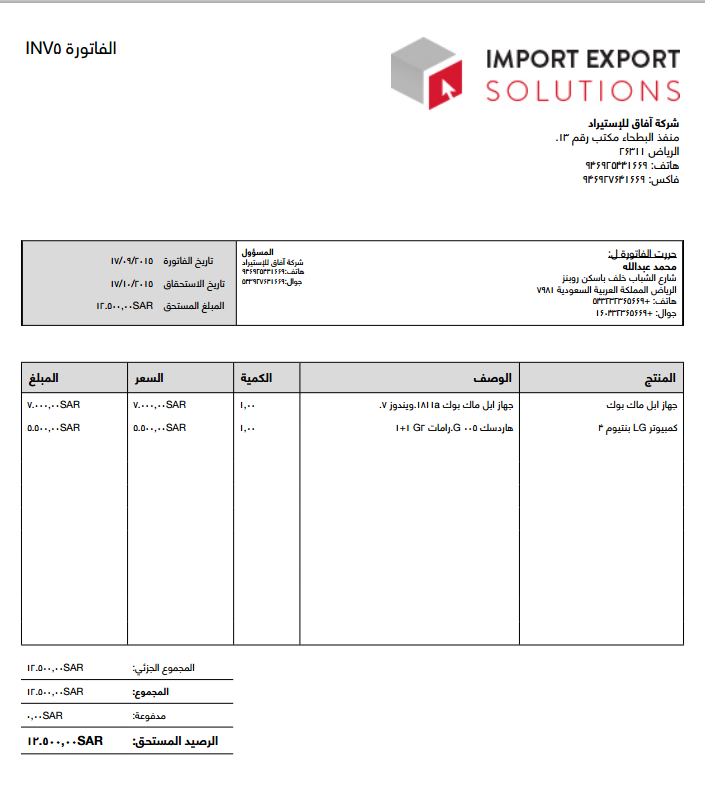 Create Arabic invoices that completely match your needs. 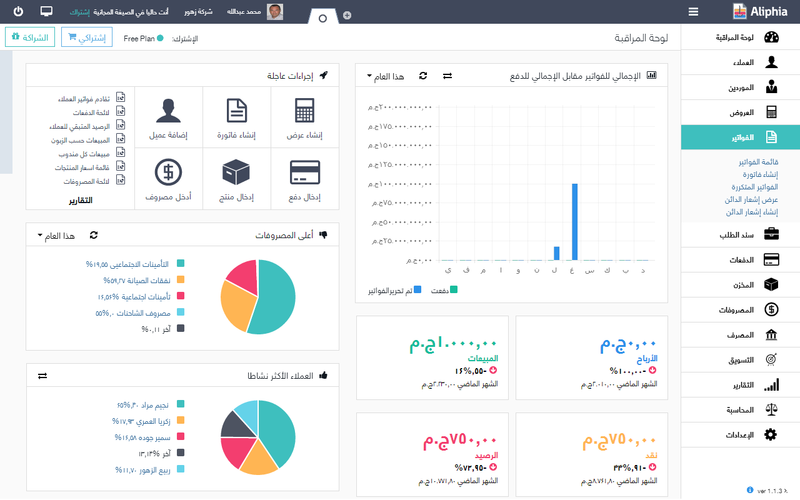 All-in-one Application : Arabic invoicing, Payment online, Client Management, Inventory, Accounting, Banking and Marketing.